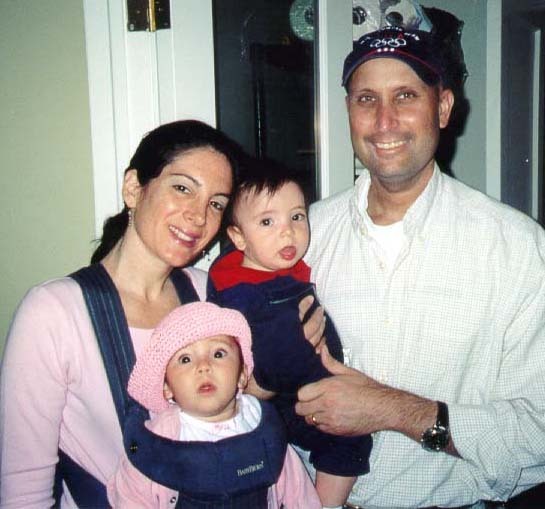 Thirteen years have passed since your dad’s death, a lifetime for the two of you since you weren’t even three years old when he died of brain cancer. You were far too young at the time to understand the complexities of death and grief. I couldn't have expressed the giant void you felt in clearer language. Of course you don’t remember Daddy. None of it made sense to you at the time. Now that you are 16, you understand so much more. You know that he isn’t hiding, that he isn’t coming back, and that there is nothing you can do to change this basic truth. Right now you don’t want to invite pain and sadness into your world. I get that. You’re teenagers and while still tender about your Dad, you resist conversations that drag you into sorrow’s core. In no way does this mean that you don’t yearn for him. It simply means that you aren’t quite ready to acknowledge the overt and subtle ways of loss. This kind of awareness will develop over time. I’m sure of it. Right now you have a loving stepfather in your lives. Believe me when I say this…your dad wanted this. He wanted nothing more than to be your father but at the end of his life when he was still cogent and aware his options had run out, he asked me to please remarry a good man so that we would all come to know love again. Your dad was generous to the bone. Do you know the great paradox of mourning at such a young age? There is so much life left to live. And that is one of the two lessons I want to teach you on this Father’s Day…to live boldly and well, drawing upon the compassion, empathy, and resilience steeped in your bones and life experience. Make the moments count—all of them. You don’t have to act, you just have to be. Your smile lights a room, Rebecca. Plus, you have your dad’s gorgeous nose, olive skin, and pure goodness. Casey, you have a winning sense of humor just like Dad. And kindness in spades. Both of you: keep laughing, keep loving. So what’s the second lesson? That life will never be black or white for you the way it seems to be for others who haven’t experienced hardship. Rather than push against this, bemoaning your loss or how carefree some of your friends appear, I encourage you to view your situation with gentleness and through the nuanced lens of gray. After years of angst, learning to embrace the gray is where I finally accepted that life would never be wholly perfect or wholly horrific ever again. How could it be? But gray is wide enough to hold all the opposites that are real for us everyday, especially the ways that joy and sadness, and past and present meet. Rebecca and Casey, gray is where I discovered meaning and purpose, and also where I found happiness and hope again. Someday soon I will give you the book of letters that family, friends, and colleagues of your dad’s wrote to you after his death so that you might come to know a small piece of him. Each one begins the same way…Dear Rebecca and Casey. Someday soon I will also give you the goodbye letter your dad wrote. For now, this letter will have to suffice. Know that you are loved beyond measure—by the dad who left you far too early, by the dad who is raising you, and by me. Above all else, you should remember that love is always stronger than heartache. The two of you taught me that lesson just a few months after your dad died. You'd just turned three and were having a conversation about where he could be. “Where is Daddy?” Rebecca asked. Words we live by. See, you don’t need memories to feel love, I promise. Nancy Sharp is the award-winning author of the memoir Both Sides Now: A True Story of Love, Loss, and Bold Living and the new picture book for children and families called Because the Sky is Everywhere, available in English and Spanish. As a keynote speaker, Nancy presents to groups and businesses nationwide about resilience and growth after loss. Learn more at www.NancySharp.net.